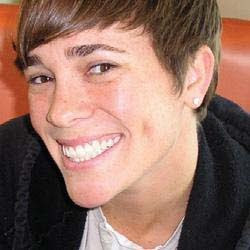 Fourth Grade Nothing: Justin Bieber -- Dani's Long Lost Son? So anyway, back to A Shot At Love. Check this out. Is it just me, or does the finalist from the show, Dani Campbell of Fort Lauderdale, look like teen singing sensation Justin Bieber or what? The resemblance is killing me! I don't watch Shot at Love, but they do bear a striking resemblence, huh? WOW. 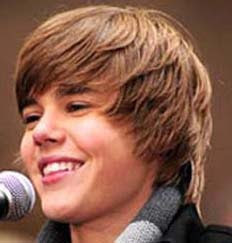 And where did that little twirt Justin Beeber come from? All the sudden he is everywhere. And I don't get it, he sounds like a little girl. Wow! They do look alike! Although one is still a baby and the other just looks like one!